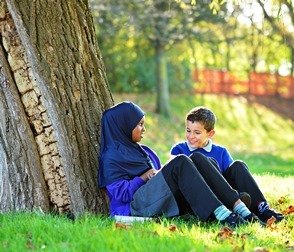 Easton Church of England Academy is a fully inclusive primary Academy in Bristol. We aim to play a vital role in the community, working with parents and pupils to improve their knowledge and skills. Our teachers work to make learning an enjoyable and exciting experience which keeps their interest in the topic. Our pupils are supported to work independently and with their classmates to gain a range of vital skills. A number of our children have English as an additional language. Our teachers and teaching assistants work to ensure they access the same learning experience as their classmates. The school houses a specialist resource base for pupils with speech, language and communication difficulties. These pupils all have statements of special educational needs and travel to the school from across Bristol. We work tirelessly to support these pupils and their parents. We know that good behaviour is linked to excellent learning and as such we have a strict behaviour policy. Our pupils are taught to be kind, polite and respectful.